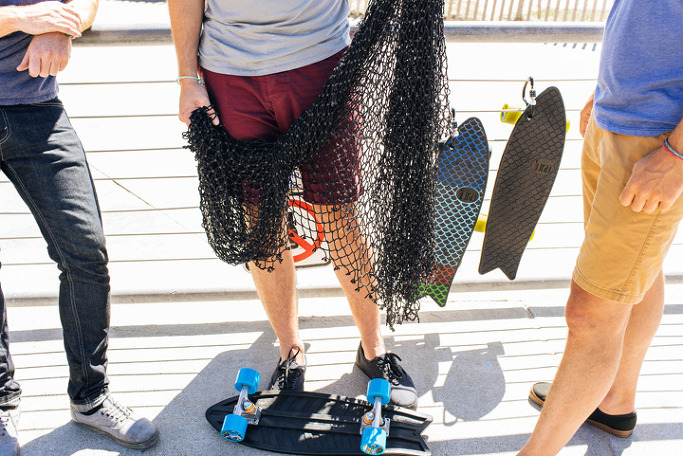 Becoming aware of the various threats to our waterways, the 3founder of Bureo skateboard made their mission to do something about ocean plastics. They started dreaming big at 2013, and left their safe careers behind in search of solutions. Their answer was ‘Skateboards for Plastic-Free Oceans’. After months of speaking with experts and investigating plastic pollutants, they proved from research that this material was incredibly strong to make skateboards from and highly recyclable! 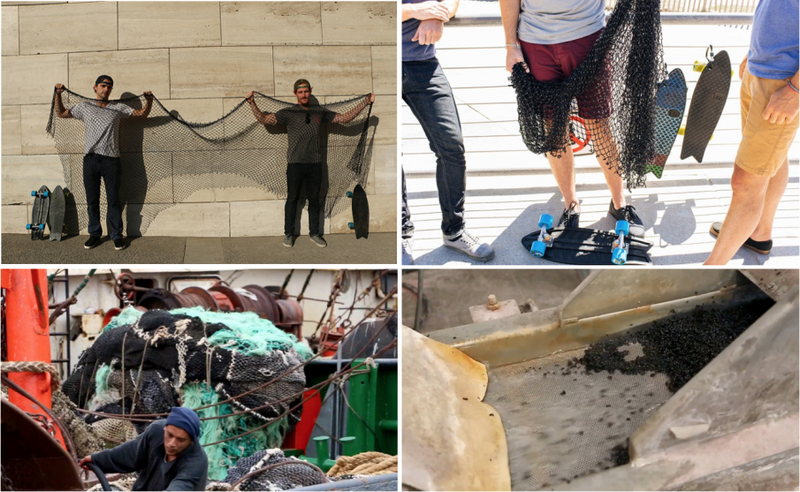 They were given an amazing opportunity to bring their idea to Chile, where they could run their whole process from fishnet collection in the coastal communities to final production in Santiago. 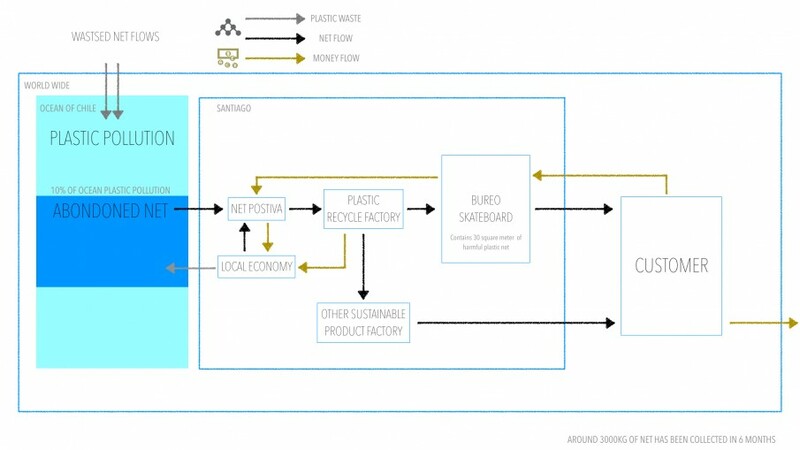 Starting from establishing 'Net Positiva', their fishnet collection and recycling program. Bureo skateboard started funding project to collect $25,000 which will facilitate their final production setup costs, the recycling cost for several tons of fishnets, and our initial component/hardware costs, from April 2014 till May ,and the project was successfully funded by May 15 reaching $64,554. And now the Bureo skateboard is being successfully produced in communities of Santiago. 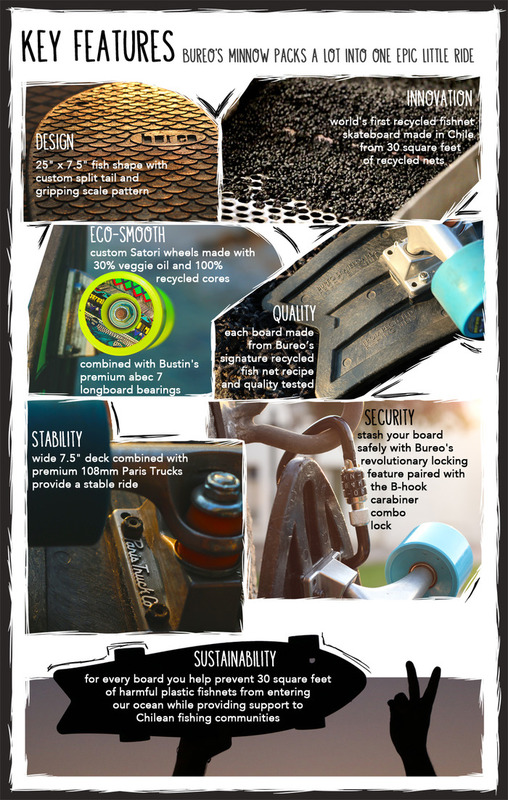 Bureo skateboard has numerous prototypes, and with supporters help they turn their prototypes into final products. The Minnow’s 25” body is perfect for cruising the streets and along the beach, and their innovative locking feature paired with the 'B-hook' lets you lock up your board for stress-free storage.Bureo boards reflect the natural recycled color (black) from underlying fishnet formula, and they think The Minnow wears black well. Bureo skateboard working with a paint provider on the most environmentally friendly application of a unique blue fish scale pattern as shown from pictures. As an exclusive offer for Kickstarter, the team has done up some epic hand painted patterns for a limited run of boards. In partnership with Satori Movement, and our dedicated and talented designer Gabriella Laruccia, their Cruiser Wheels are 30% veggie oil and include 100% recycled cores. 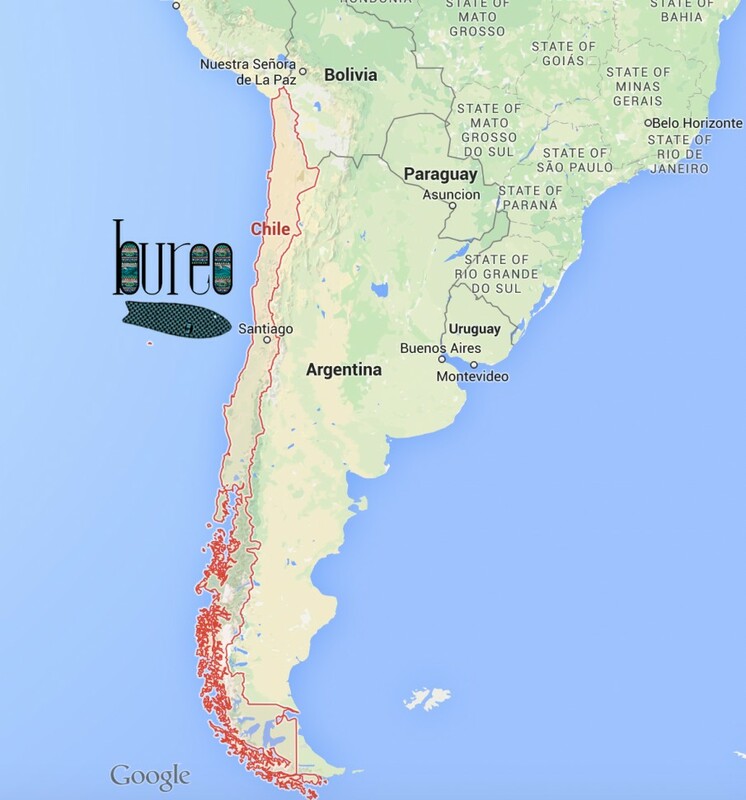 Bureo skateboards contribute to clean ocean of Chile by producing sustainable skateboard from abandoned fishnet, and the profit from selling products supports and funds local fishing community. 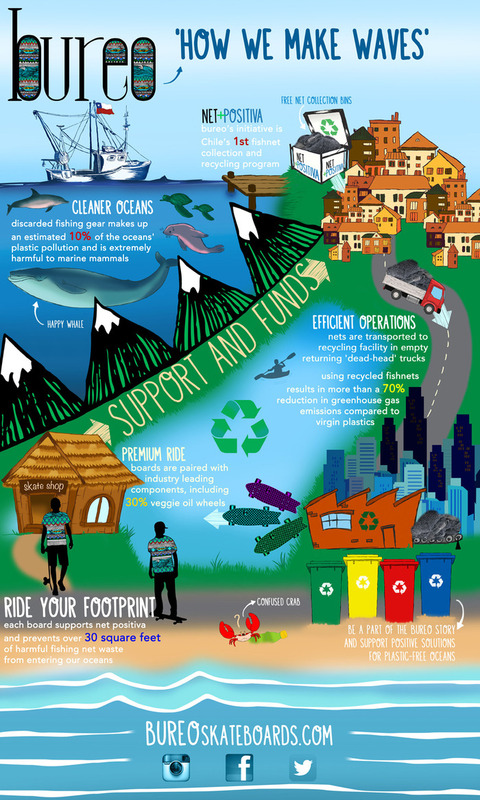 It creates better conditions to ocean life circle and Santiago local community. The idea if this project started June,2013 and the production line completed on June,2014 . There is might be too early to expect evident result of it but we definitely expect admirable result of this project in the future due to it's high potential. Before produce product, Bureo have manufactured and ridden several prototypes, which have been tested for performance and safety. They acknowledge that achieving consistent performance between recycled products is a challenge and risks remain in any manufacturing operation. However, Bureo consider these low risks given the extensive testing, they have completed and the industry knowledge of their selected manufacturer. 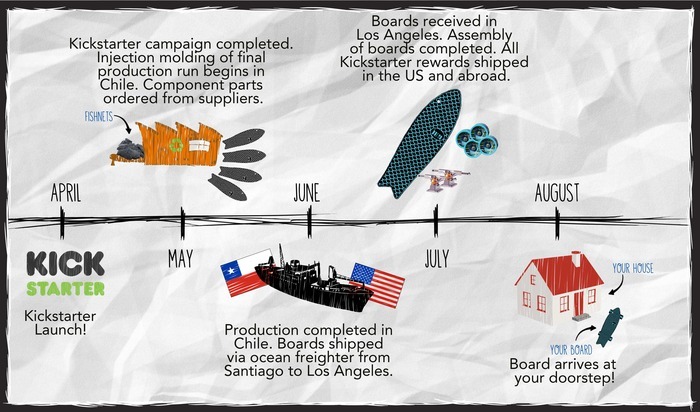 To achieve proposed Kickstarter schedule, they temporary reliant on the timely shipping and processing of Bureo boards from Santiago to Los Angeles. They have secured trusted industry partners to handle this process. By building a community with Kickstarter backers, and completely engaged with their supporters during this process dream of Bureo skateboard could successfully manufactured. From collecting fishnet from Net Positiva to producing final product ‘Bureo skateboard’ is done inside Santiago community, and it gives maximum positive economical and environmental profit to it. 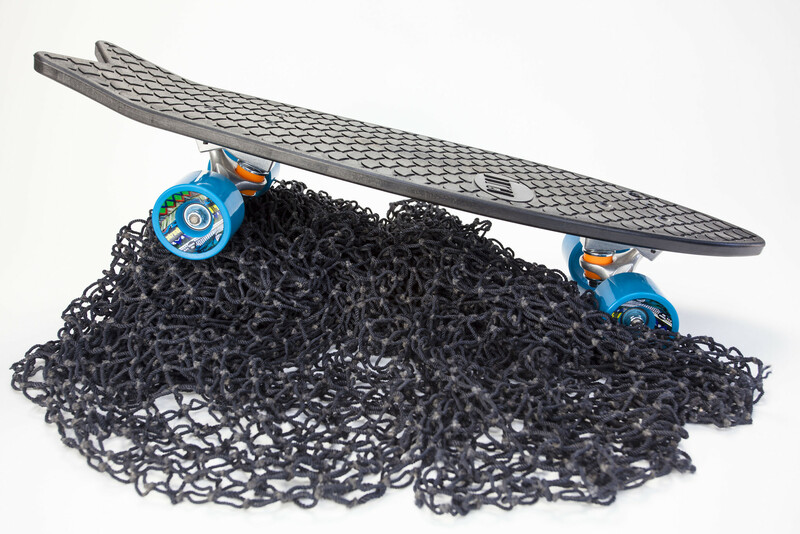 And each skate board contains 30 square meter of harmful fish net. This also means with every single board production,it cleans 30 square meters of ocean of Chile. In addition to the fishnet collection program, Net Positiva is aligned with coastal clean-up and conservation efforts. 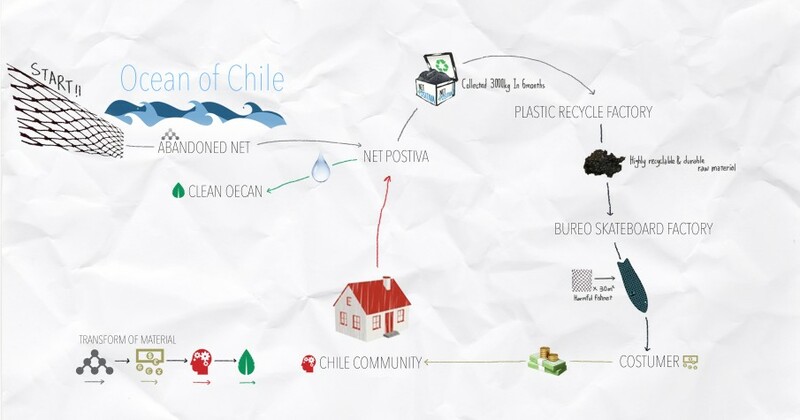 Under this initiative, Bureo is connecting with non-profits and local communities across the US and Chile to support the removal of marine debris from our coasts. 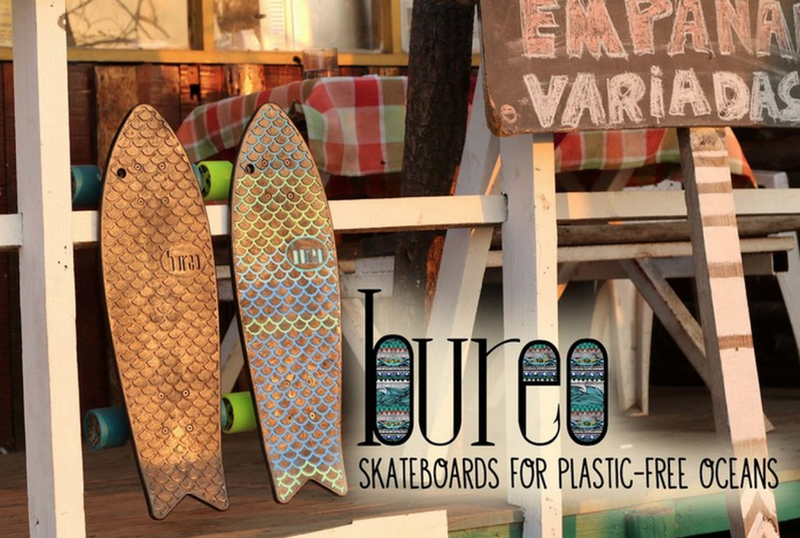 Bureo skateboards reflect the natural recycled color (black) and fish skin patterns from their underlying fishnet formula. And Bureo is working with a paint provider on the most environmentally friendly application of a unique blue fish scale pattern. Also as an exclusive offer for Kickstarter, the team has done up some epic hand painted patterns for a limited run of boards. In partnership with Satori Movement, Bureo Cruiser Wheels are 30% veggie oil and include 100% recycled cores.